If only it were as simple as this. But it never is. You pay your income tax, sure. As you should. But then on top of that there’s the GST on just about everything and all manner of other disguised taxes, stamp duties and surcharges and the other incidental taxes, tolls, levies and charges that you don’t even think about. 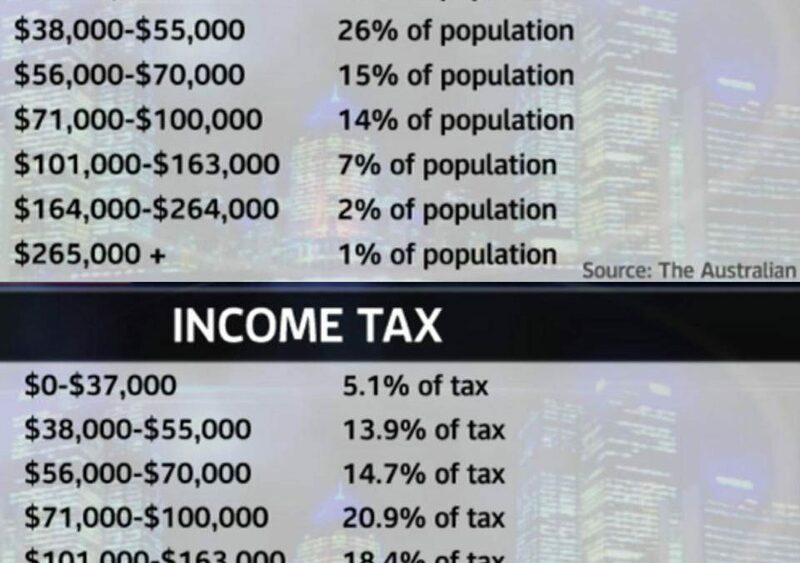 Income tax is most definitely not the full picture.